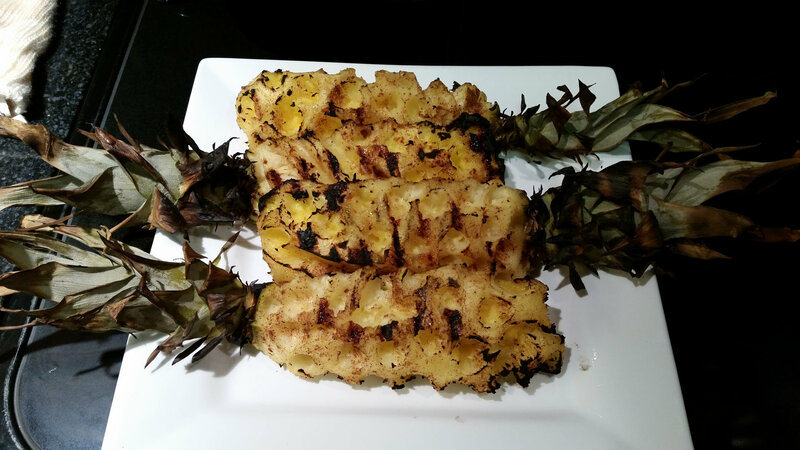 I have seen threads for grilled pineapples….having trouble finding it on the forum. 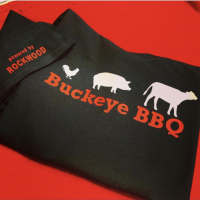 Looking for some help on your best recipes please! You can do almost any way, pineapple is pretty forgiving. you can wrap in bacon and brown sugar. You can joetisserie them. Stick other fruits or pork inside. Or soak them in rum, grill slices raised direct at 350. Just watch the flames. Serve over ice cream. I sprinkle cinnamon on it and heat it until it's warm and softens a little - about 20 minutes at 350 if you used pretty big chunks. We eat it as a healthy dessert. Soak it in Fireball liquor, sprinkle it with brown sugar and grill raised direct. I am a big plus one on the Dizzy Pineapple Head. 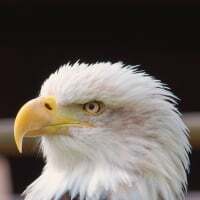 Almost the best head you can get. 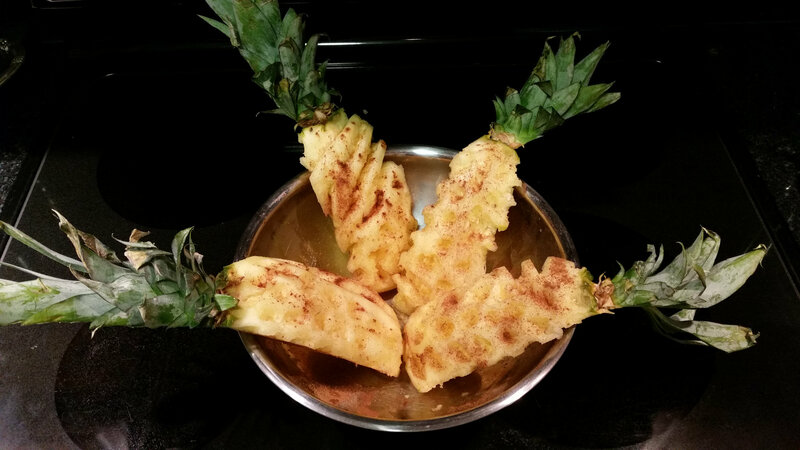 These were brushed with rum and sprinkled with cinnamon. Turned out very good. Panther man just needs to order the Pineapple Head from Dizzy Pig and see where it takes him. Always get excellent results. You guys got a baby yet? 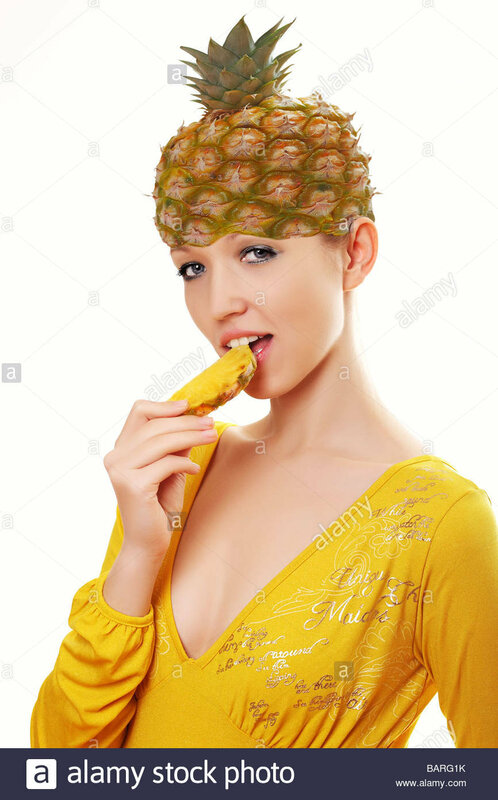 DP Pineapple Head, and grill it......that's it. There were some guys making some stuffed pineapple at Eggtoberfest. The line was a mile long, but it sure looked good. Concensus says DP Pineapple Head……. Got it! You will find great joy! 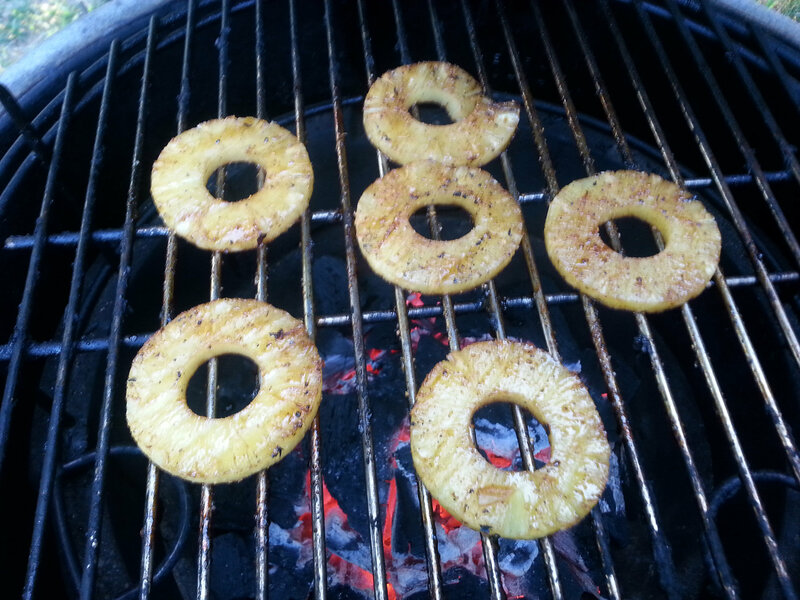 A little soy sauce will do wonders for pineapple on the grill. If I'm grilling tuna I normally will grill pineapple as a side. I prepare a marinade for the tuna consisting of 1 cup soy sauce, 1 cup local honey, and 1 tbsp mince ginger. I always drizzle a little of the marinade on the pineapple and use the remainder for the tuna. We like to do a grilled pineapple and roasted jalapeño salsa with pickled red onions. It’s great on tacos. When we grill the pineapple just like most everyone else we use Dizzy Pig pineapple head, but also sprinkle on a little ancho chili powder. Try it some time.